The new, interactive wellness portal from Hoos Well has launched! Helping you create and achieve meaningful, personalized goals, the portal is designed to provide employees, team members, and spouses covered by the UVA Health Plan unique opportunities to engage with their health. Participate in wellbeing Journeys tailored to your personal lifestyle and interests, or fire up your competitive spirit and get involved in cross-Grounds Challenges. There are many different options to improve your physical, emotional, and financial wellbeing. Get rewarded for taking healthy actions. Participants are eligible to earn up to $500 each. Register your account at HoosWell.RedBrickHealth.com to get started. Simple, healthy actions can earn big rewards! Register your account at HoosWell.RedBrickHealth.com, take the health assessment, and get personalized recommendations unique to you. Who’s eligible? Employees and spouses on the UVA Health plan are eligible to earn $500 each for completing three steps toward good health. Visit your Rewards page for a complete listing of all the ways your can participate and earn. 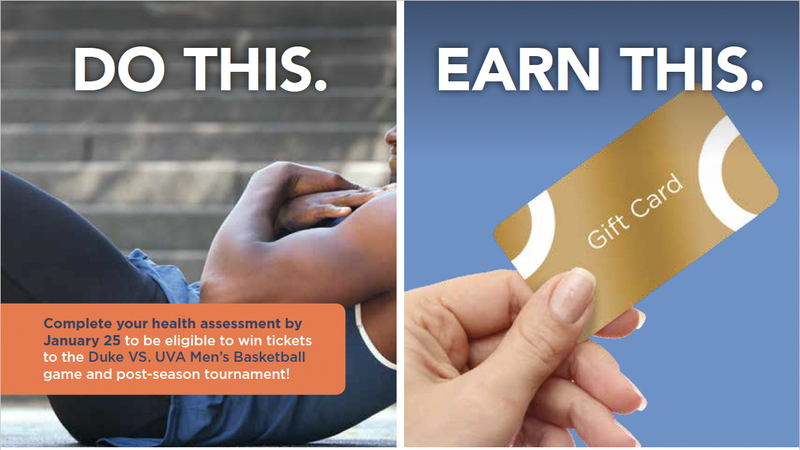 Choose from a wide variety of gift cards (including Visa) and redeem your rewards immediately after you’ve earned them! *All rewards are considered taxable income. Grant-funded postdoctoral fellows, retirees, COBRA enrollees, and their spouses enrolled in the UVA Health Plan are not eligible for monetary rewards. If you have questions, please contact 434.243.3344 or email hooswell@virginia.edu.